The five spiritual faculties (indriya) offer practitioners on-going support for formal meditation practice and daily life. This course offers an in-depth opportunity to practice these five faculties: faith (saddha); energy (viriya); mindfulness (sati); collectedness, or concentration (samadhi); and wisdom (panna). Together, we will consider the faculties as a diagnostic support for the cultivation of an embodied realization of nibbana. Through periods of meditation, chanting and group inquiry we will come to a deeper understanding of how to diagnose the extent of each faculty in our moment-to-moment experience and balance the mind accordingly. To understand the five faculties and their relationship to one’s practice; explain how the faculties relate to the four noble truths; diagnose the extent of each faculty in the moment-to-moment experience of mind; and apply the five faculties to everyday life. 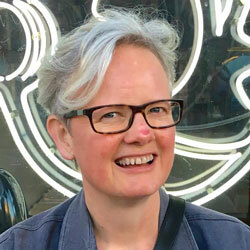 Willa Thaniya Reid trained in the Thai Forest Tradition of Ajahn Chah, which harmonises with her affinity for the natural world and for reflective practice grounded in the Buddha’s suttas. She was a monastic for 18 years, eight years as senior nun of Cittaviveka. She teaches internationally and is based in New Zealand, where she co-founded a center for Dhamma enquiry. She is on the teaching faculty of an Australian University. Dr Elizabeth Day trained as a monastic within the lineage of the Thai Forest Sangha. She is committed to presenting the clarity of the core Buddhist teachings, and bringing these alive for minds shaped by contemporary democratic paradigms. 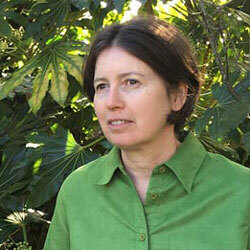 Elizabeth co-founded a center for Dhamma practice in New Zealand. She has a PhD in phenomenology and inter-subjectivity; practices relational Gestalt psychotherapy; and is a senior academic in universities in New Zealand and Australia.